Based on information obtained, the MeK leadership is seeking to Stop and disturb UNHCR's individual interview with the walled members in Camp Liberty. 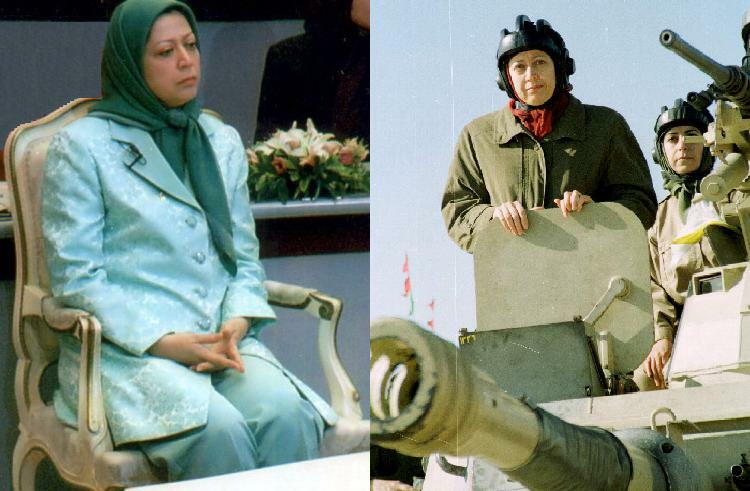 Maryam Rajavi has told camp administrators that "even if one desperate goes out, all the organization's efforts and political measures at outside would be foiled." According to the MeK leadership, declaration of Liberty as a refugee camp would provide their long-term presence in Iraq and they would have a chance to discourage the UNHCR officials in perusing file of transfer the group members out of this country. If such an assumption realized, members, who become tools for developing this trick hoping to obtain mass asylum, will be told that the UNHCR due to political obstacles is not doing its job. An important point here is Rajavi's gang sensitivity about defectors and those who get able to leave the camp at this point. That the MeK treat them as disturbers of political actions of group abroad, especially in case of the US, is an alarm indicating that the group leaders will not suffice only to these tricks, but with the continued separation of members, they will increase pressure on protesters who demand breakaway; on the other hand, leaders of the MeK in every possible way with all kinds of excuses will struggle to limit powers of the UNHCR in order to avoid legal interference in determination of members. 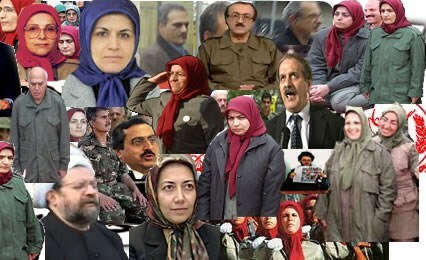 So, in these circumstances, any of those who manage to get out of the hellish organization of Mujahedeen, more than ever before, should embark on enlightenment and inform the MeK's world. Reportedly, the military wing of Hezbollah in Iraq, a militant organization active during the American military presence, has claimed responsibility for the mortar attacks on Camp Liberty that left a count casualty of nearly 60 on both sides, the Iraqi guards and the residing MKO members. In a statement, as it was expected, MKO accused the Iranian and Iraqi regimes to be not only the responsible but behind the attacks. But the chief responsible for the attacks and the inflicted casualties is MKO itself with Massoud Rajavi at the head. Regardless of all these accusations and who the real directors of the attacks might be, MKO is the side that best benefits from the bloodshed. In fact, the leaders are not at all looking for the responsible to accuse; whoever they are, they have served MKO in the best way to deserve its thanks. It makes no difference for Rajavi who is sacrificed from which side; the emphasis is on the applied brutality to claim victims. And for MKO, the more victims the better. The suffering, enslaved insiders of MKO have always been the front-line victims and their families, pressing effortlessly to rescue them, have repeatedly declared that Iraq is not a safe place for their children and relatives to stay. From the within the insiders are, physically and psychologically, under relentless pressure of a totalitarian cult, and from without, there are an ever-increasing likelihood of violent reaction from Iraqi people looking for any opportunity to strike at MKO in revenge for its flagrant collaboration with Saddam against the Iraqi people. The Committee for the Defense of Iraqi victims of the terrorist MKO has reportedly filed more than 280 complaints against the group in German, Spanish and Turkish courts of law. The chairman of the committee Nafee Issa has asserted that lawyers have filed complaints on behalf of Iraqi victims particularly by farmers living in Diyala province whose crop lands have been occupied by the group to be walled and to establish the cult bastion called Ashraf. In fact, it was a legal demand by the Iraqi government and the local people, to whom the lands belong, to close the camp and return the lands to their real owners. Naturally, MKO as the occupier was reluctant to return what it had seized mostly because its erected utopia was known to be both its ideological and military bastion. What is done cannot be undone but any similar operation for any claimed legal and just reason is either in the behest of MKO or an act on behalf of MKO. The safety of the residents, despite being known as the members of a despised terrorist cult, has to be guaranteed until they are resettled to third countries. The incontrovertible facts about MKO’s genocidal campaign against the Iraqi Kurds are so hard that even the organization itself prefers to keep silent over it and even abstains from getting into efforts to attribute it to Iranian regime as an anti-MKO campaign. The Swedish Parliament is just a few steps from making a decision to recognize MKO’s Operation Morvarid (Pearl), a post-Persian Gulf military campaign in collaboration with Saddam to suppress Iraqi Kurds uprising, as genocide and crimes against humanity as it has already recognized Saddam’s Anfal campaign. The following from David Gethin’s New Al-Qaeda in Europe: Iranian Terrorists-Good or Evil provides adequate evidence to dispel any doubt. 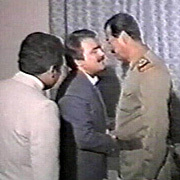 The Wall Street Journal reported that in March 1991, after the Persian Gulf War and the operation by American Forces called Desert Storm in Iraq, Saddam Hussein, the then President of Iraq ordered Masoud Rajavi, the President of NCRI, who was at the same time the Leader and the Commander in Chief of MKO and NLA, to help Iraq in suppressing the Kurds uprising in the northern part of the country. Those who were involved in this operation have testified to this fact. 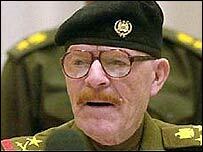 “Following the Operation dubbed “Desert Storm”, Iraqi Kurds claimed that MOW helped the Iraqi army in the suppression of Kurds. Those who fled the operation zone and took refuge near Iranian borders corroborated this allegation. In a book entitled “For the Judgment of History”, the text of the negotiation between Masoud Rajavi, the President of NCRI, with Iraq’s intelligence officials at the time of Saddam Hussein’s rule in Iraq is published. Part of the book is about negotiations between Masoud Rajavi and General Saber Eldori, the then Head of Iraq’s Intelligence Service, right after the 1991 uprising in Iraq. 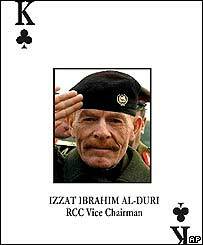 From these negotiations the role of the Leader and members of NCRI in the suppression of the Iraqi people and the extent of their loyalty to Saddam Hussein’s Regime becomes clear. The documentary film of the meeting between Masoud Rajavi, President of NCRI and the Head of the Intelligence Service of Iraq is attached. 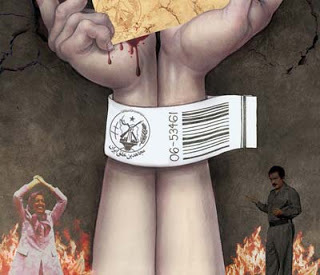 It is noteworthy to mention Masoud Rajavi, the President of NCRI was in charge of commanding this genocide operation dubbed “Pearl Operation” against the Kurds. Furthermore, according to the testimonies of the members of NCRI, Mrs. Fereshteh Yeganeh, Chair of Educations and Training Committee of NCRI was responsible for providing logistics and sup-port for the operation. The crime of genocide against Iraqi Kurds was committed in March 1991 in two regions in the northern parts of Iraqi Kurdistan namely “Kafri” and “Kalar”. The Governor of Iraq’s Kurdistan province in a statement issued the names of persons killed, injured or captured by MKO forces. The death certificates of some of those killed in this massacre are attached. The medical certificates and some photos of those injured in this operation are attached. 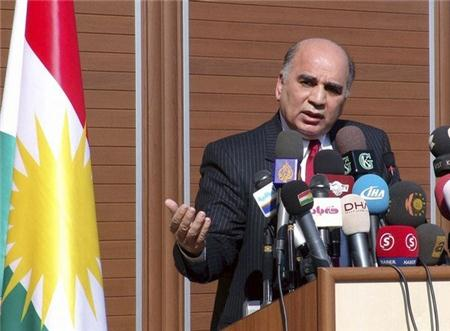 In an interview with 'France 24 News' Fouad Hussein, head of the office of President Barazani's Government of the Kurdistan Region, said "regional president Massoud Barazani does not support the survival of the Mojahedin-e Khalq Organization of Iran (MEK) in Iraq", denying reports by some media that Barazani gave his support for the MEK to stay in Camp Liberty. Hussein added that "the Government of Arbil does not differ with the Federal Government in Baghdad on issues relating to Iraq's sovereignty", stressing that both demand the organization leave the sovereign country of Iraq. The head of the office of the Kurdistan Region explained that the MEK committed crimes against Iraqis from north to south, explaining that the Kurdish people in the north were also victims of the Baathists and the MEK, which was an obedient tool in the hands of the former Baathist regime. Fouad Hussein, arrived in Paris on Saturday to discuss the repercussions of the political crisis that Iraq is going through now.